Ask golfers what they want, and they will nine out of ten times give you the answer of more distance. 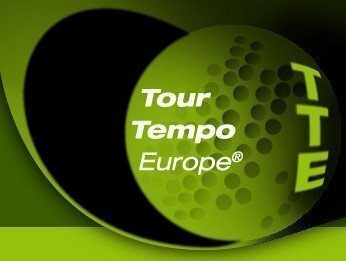 If you have not read our earlier blog on the subject, please read here… https://tourtempo.eu/training-principles-for-more-clubhead-speed-in-golf/ . It is very important to have that baseline understanding. Before we get into the details of speed training, I am going to make the assumption that you are in fact…..
have a desire to hit the ball a minimum of 20 meters farther, In fact, you have got to want it (which is usually not the problem). Age and ability does not really matter if you are set to do such a programme. That being said, if you are younger with a terrible swing, you probably have the most to gain. Assuming you have decent ‘geometry’ at impact (good smash factor which is the ratio of ball speed over clubhead speed) with optimum spin and launch numbers on the ball, the only way to hit the ball farther is to increase clubhead speed. It is a fairly straight relationship between the two. How Far does or can the Golf Ball Travel? Before we get to ways to increase your clubhead speed, let us look at the elements of how far a golf ball will travel in the first place. There are three elements to the distance and flight of a golf ball. These elements are Ball Speed, Spin of the ball, and the Launch Angle of the ball. Also elements like temperature, wind speed, and surface conditions like ground firmness truly effect distance ultimately, but we and you have no control over those variables. So, we need to focus on the three elements of ball speed, ball spin, and launch angle. Ball Speed is a function of club speed and energy transfer. 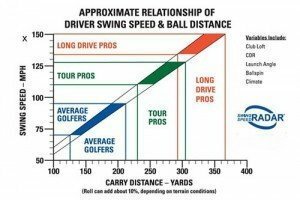 In other words, how much club speed have you, and moreover can you hit the ball in the sweet spot of the club. The smash factor is a good determinant of this. If your smash factor is 1.48 or above, then you are transferring the energy (impact law in physics). Spin is a function of your angle of attack and the loft on the club at impact. Ideally on a driver your spin will be in the 2000 to 2500 rpm range. It is somewhat dependent on the speed. A general rule of thumb is that the higher the ball speed the less spin you need. Launch Angle functions similar to spin and ideally you would launch about 12 to 14 degrees of the driver’s face. The best way to determine your current launch is getting on a launch monitor and testing your driver. The very first thing we do with golfers at the Tour Tempo VIP School is to get the golfer’s shots on the Flightscope and find out the ‘hard facts’ and real numbers.